For years, families have come to YouTube, watching countless hours of videos on all kinds of topics. 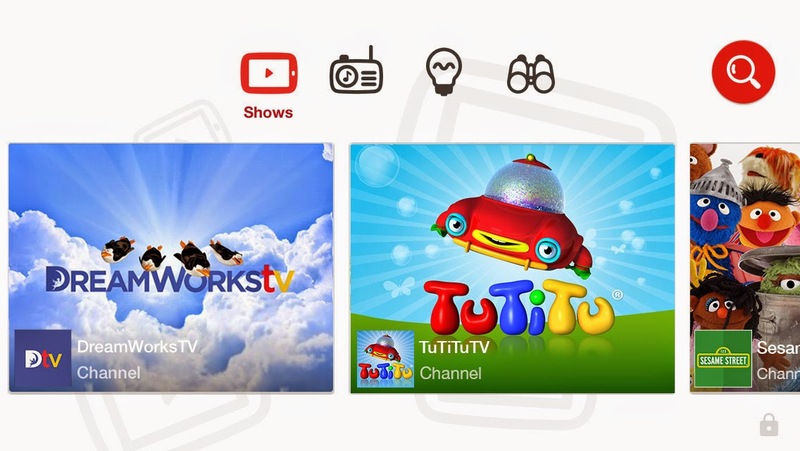 Now, thanks to their new kid-friendly mobile app, parents can rest a little easier knowing that videos in the YouTube Kids app are narrowed down to content appropriate for kids. Product feedback: The goal is to improve YouTube Kids all the time, so if you see something you don't like they've included a space for you to give your feedback. Easy navigation: The app has big buttons kids tap on to reach dedicated sections in the app, including “Shows,” “Music,” “Learning,” and “Explore,” as indicated by icons of a play button, radio, light-bulb and binoculars, respectively. Things the app is currently not offering: Personalization and customized content. The YouTube Kids app, the first Google product built from the ground up with little ones in mind. The app makes it safer and easier for children to find videos on topics they want to explore, and is available for free on Google Play and the App Store in the U.S.